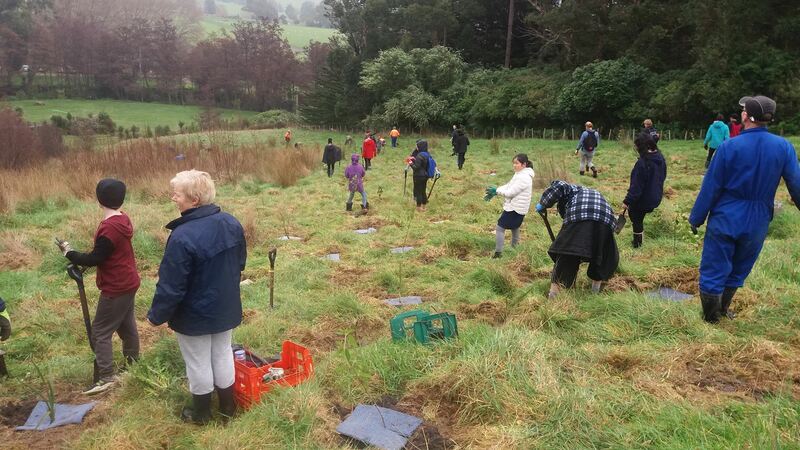 Trees For Canterbury is planting over 400 native plants at Orton Bradley Park on Sunday 4th August beginning at 10.00 am as part of their continuing community revegetation and biodiversity enhancement project. The planting will start near the main buildings. Park by the historic school house. This key event is part of an ongoing partnership between the community, Trees for Canterbury and the Orton Bradley Park Board. Orton Bradley Park is located in Charteris Bay at the southern end of Lyttelton Harbour: You can get there by travelling from Christchurch about 26km either through the tunnel to Lyttelton or over Dyers Pass Road to Governors Bay. Follow the road to Teddington and on to Charteris Bay. It will take about 30 minutes to get there. Signs will be out on the day in Charteris Bay to guide you to the areas for planting. Come and make a day of it. There is plenty to see and do in the Park. There are excellent walks to various special features, wonderful collections of mature trees, picnic areas and a children’s playground. If a more sedate day is needed,there are the wonderfully restored buildings and displays of old machinery, a working water wheel installed in 1887 and used to generate electricity from 1901. Orton Bradley died in 1943 leaving the Park “for the benefit and enjoyment of the people”. It is Orton Bradley we owe the beauty and splendour of over 50 years of planting many varieties of trees, the legacy of which we still see today. Come and contribute to your grandchildren’s enjoyment.